By marking the location of your children’s rooms, our Tot Finders immediately alert firemen to clear those areas first. 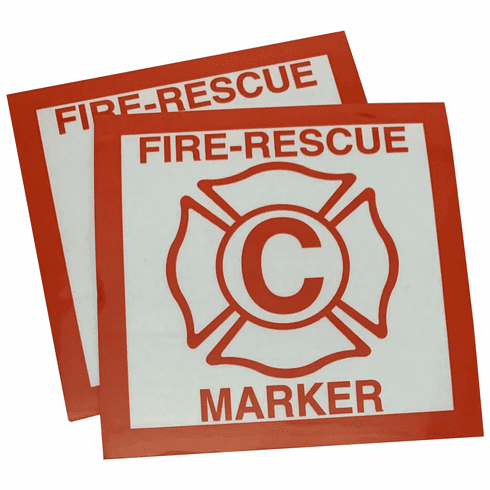 These non-fading waterproof vinyl decals are highly visible, they can be seen clearly day or night. Red on white background with peel off adhesive backing. Large C discreetly designates a child is in that room. Recognized by fire fighters and recommended by the Fire Rescue Program, they are also suggested for marking the rooms of invalids, the handicapped, or the aged. They come with a very informative brochure, full of information on fire safety.